I am looking forward to trying out this book when the time comes. 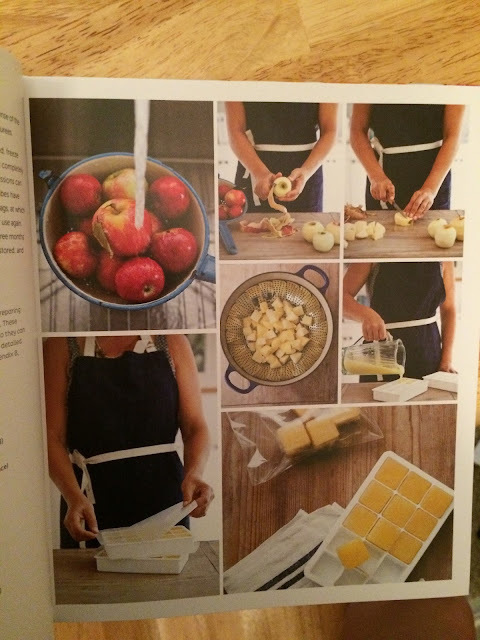 As it states in the introduction, "The Amazing Make-Ahead Strategy will guide you through six steps to create three months' worth of wholesome, delicious, nutritious baby food in three one-hour blocks of time." 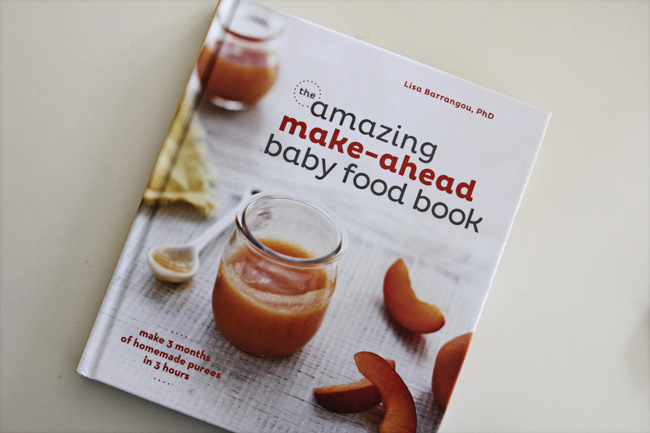 The Amazing Make-Ahead Baby Food Book provides a sample menu, shopping list, and mise en place plan, or you can create your own menu using the whole foods of your choice! I'm sure you could totally just wing it, but the list maker in me thinks this book will be really helpful, and I love the concept of freezing the meals in cubes for easy preparation when the baby is ready to eat. I'm so glad I got the chance to check out this book! If you're interested, you can find out more information here. What do you think? Would you want to try making your own baby food? Do you think a book like this would be helpful? I made my own food with Emily. It was so easy! I usually reserved an hour or two on a Sunday evening, cooked whatever I was prepping, blend in blender, pour in ice cube tray, freeze, and voila! Perfectly portioned little meals! I never got super into mixing different foods and making "recipes", just stuck to one fruit or veg at a time. Easy peasy. I made baby food for my 2nd guy, actual recipes for food (chili, chicken and rice, and so on). For Leah, we did the jarred stuff or I made it if it was convenient. I will! Thanks so much. I'm glad you had such a good experience with it! That's awesome! I'd totally try my hand at making baby food! I always thought of I would make my own baby food. I was recently introduced to the idea of baby-led weaning which really makes sense to both my husband and I so we will hopefully preparing our own food for Baby C once he/she is a bit older. I got this book too and LOVED it. We have struggled a bit transitioning from purees to "real food" now... but the purees were just so convenient! I am obsessed with this book. Seems like a great book! 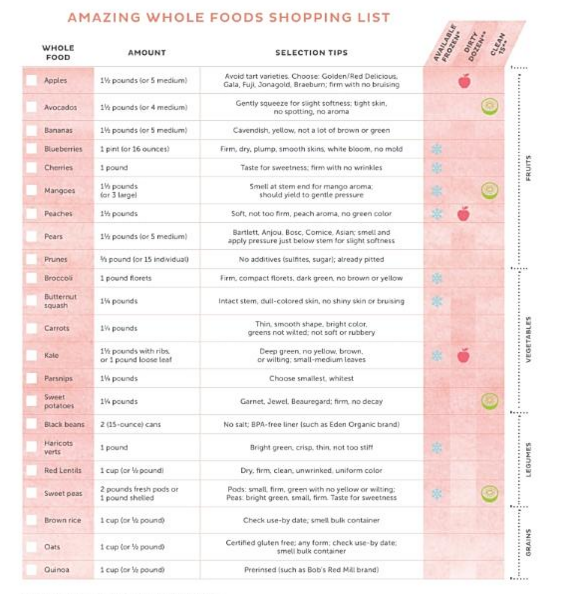 I love that it has a shopping list...I'm all about recipes that include a shopping list. I would want to try making my own too and making it ahead is just good thinking! We made a lot of Andrew's food. I'm big on minimal sugar (so no juice, ever...wasted calories and builds bad habits, but that's only my opinion), and I didn't like all the preservatives in so many of the baby foods. I didn't use a book. I had been gifted with a hand-me-down baby bullet, and that thing is incredible! I pureed anything I thought he'd eat at the appropriate ages (6 months+), and off we went. It was a lot of fun, but we did still buy some organic baby foods, the ones without additives, to expose him to foods that weren't in season or hard to find locally. And pouches are amazing for restaurants/traveling. No spoon needed and minimal clean up. I've done all of the above. Bought, made, and skipped entirely. Skipping baby food entirely was the easiest. LOL. That was A, she went straight to finger foods. Boy, was that handy. Baby B I pre mixed cereal with fruits and froze them in cubes and that was SO handy for mornings. I think it would be easier to make food while you only have 1 kid. HOWEVER, I'm sure it is super cheap to make your own. Do you have any friends with a Sam's membership? You could even buy food in bulk, make it and freeze it. I'm obviously no pro but I have friends and family that make their own and it doesn't seem too hard. I will so be interested to hear if you do this! I originally thought I'd make my own baby food, but we ended up doing Baby Led Weaning so I never even had to mess with purees, which I think is about as easy as it gets (which is always my goal haha)! Anyway, it looks like the book has tons of awesome recipes! That looks like a great book! I have made all of Remi's food so far and it' easy peasy! I actually just did a post on it last week! It's so healthy and sooo much more affordable! Good luck! We made some of our own baby food with Lillie (which is how I justified spending money on a Ninja blender and now mostly use it for frozen drinks, yay!) and I know, personally, I felt better about it but if I couldn't find the time I still used bought baby food. She couldn't tell much of a difference. It is a lot of fun watching your kid try food for the first time BUT, I hate to tell you this, you will NEVER stop worrying about them choking. Lillie will be 5 on Monday and I still watch her like a hawk and have taken CPR classes just in case. The joys of overlyconcerned motherhood, fun times!